Finding the right moving company to assist with your upcoming relocation to or from Atlanta, Georgia, is difficult enough, but choosing the right company with a secure storage option may seem nearly impossible. Thanks to the following tips, however, selecting the perfect company may become much more manageable. Before notifying the moving company of your need for storage, be sure to first go through your belongings and identify any pieces that can be sold, given away, or thrown out prior to your move in the Atlanta metro area. Since getting rid of extraneous items can reduce the amount that you will be putting into storage, you may in turn reduce your storage costs. While sorting through your belongings, you should also identify any items that may need to be stored in a specialized facility, such as a climate-controlled storage space. 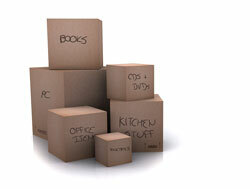 Be sure to find out if your moving company can make these accommodations and if it will affect the price. While talking with the company, it may also be a good idea to inquire about what security features they offer and whether or not you’ll have easy access to your items. Of course, if you are in the Atlanta, GA, area and happen to be looking for a premier moving company with excellent storage services, you should look no further than Bulldog Movers. Here at Bulldog, we can store your belongings in custom-built wooden crates, which are stacked high using a forklift for added security. To request more information or obtain an estimate, contact us today.